The story of the Cashiers Community Library begins at the Village Lending Library on Route 64, a small clapboard house. Moya Johannsen filled the tiny structure with books, mostly novels. When Moya died in 1967, the collection was moved to the basement of the Community Center, under the auspices of Rita Bond who tended and loaned the books. There it remained until Barbara Carlton made a donation to purchase the land at the current location. 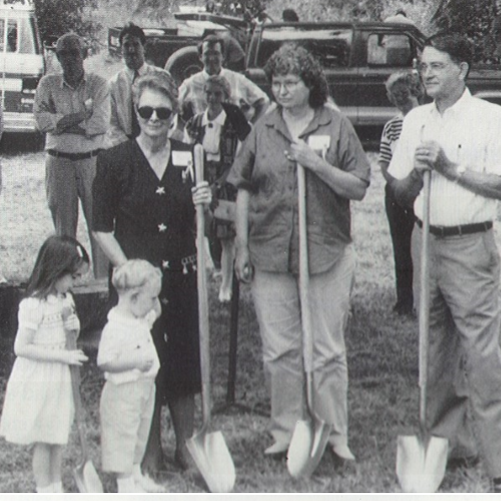 The Albert Carlton-Cashiers Community Library opened its doors on July 15, 1994. Building the library was truly a community endeavor. Contributions from local residents poured in for building the structure, with residents making nearly 1,000 financial contributions totaling $250,000, and the State of North Carolina and Jackson County Government each contributing $200,000 to build the library on land donated by the Albert Carlton family. Crossroads Chronicle and Albert Carlton’s personal Bible behind the plaque at the front entrance to the library. Dr. Barbara Carlton arrves at the Grand Opening of the Expanded Albert Catlton-Cashiers Community Library, October 14, 2006. 2015 Ribbon Cutting for expanded Book Store. When it opened, the library boasted 6,400 square feet but is over double that size today after multiple expansions. In 2005 ground was broken for a major expansion. In 2008 the “Friendship Garden” was added, funded by and dedicated to lifelong friends Dr. Barbara Carlton and Deen Day Sanders. A 2015 expansion added 500 square feet to the Friends of the Library Book Store. Today, patrons enjoy the Library’s space and services, including the children’s room, Friends of the Library Book Store, computer area, sitting room with fireplace, conference room and elevated stage complete with a dressing room. More about Fontana Regional Library System and the United For Libraries (the national Friends of the Library network). The Albert Carlton-Cashiers Community Library was built in July of 1994, providing many services to the people of Cashiers, NC since its opening. Deep within western North Carolina, the Albert Carlton-Cashiers Community Library is a part of a regional library system called the Fontana Regional Library which has six libraries across three Western North Carolina counties: Jackson, Macon, and Swain. The Cashiers Community Library in Jackson county is one of two, including the Jackson library in Sylva, NC. The library system aims to provide information, entertainment, and a safe place within its communities, offering programming, multiple mediums of learning, technology, and of course a wide selection of books, DVDs, audiobooks, and much more. 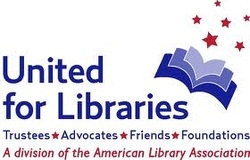 In February of 2009, Friends of the Library U.S.A. and the Association for Library Trustees and Advocates (ATLA) combined to create United for Libraries, a division of the American Library Association. "The mission of United for Libraries is to support citizens who govern, promote, advocate, and fundraise for all types of libraries." United for Libraries make up the citizens who create the Friends of the Library groups who help individual libraries such as the Albert Carlton-Cashiers Community Library. Friends of the Library are the supporters, volunteers, fundraisers, and jack-of-all-trades for the library.